The AMD Ryzen 5 2600 is one of the best CPUs around today, offering a high core-count, decent gaming performance, and an incredible price. That’s especially true now as prices have dropped far below the $200 mark, making it a real bargain. 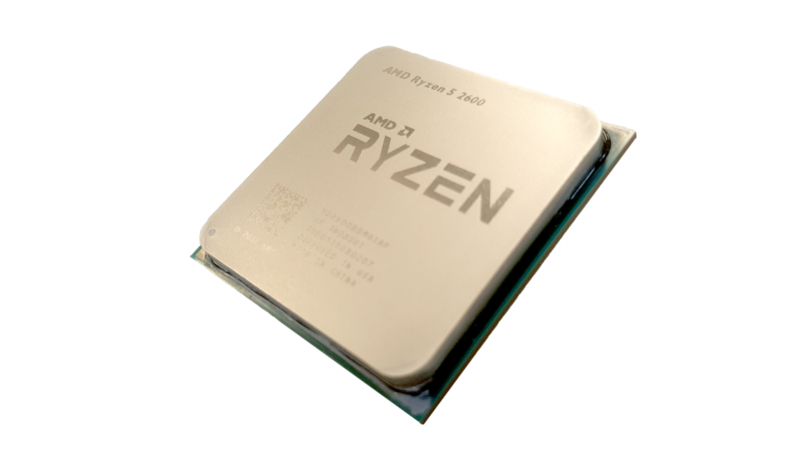 The second-gen AMD Ryzen 2 processor range launched with a pair of new X-series CPUs, offering the highest clock speeds and best performance. 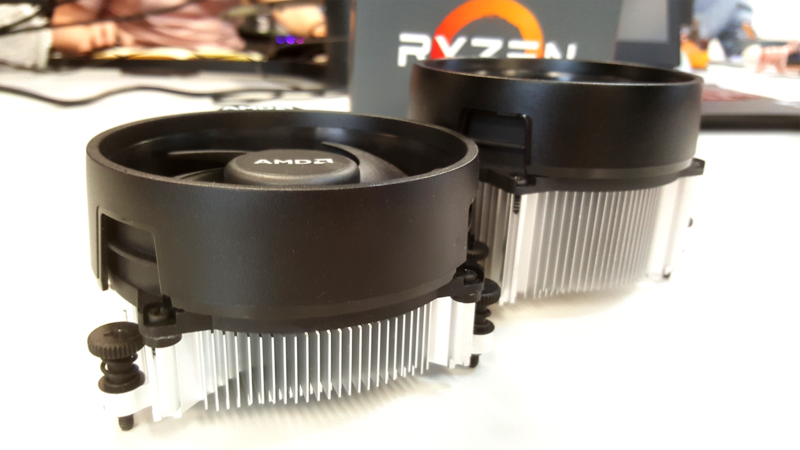 But wherever the 2700X and 2600X go so will follow the non-X variants… and so we have the impressive Ryzen 5 2600, the perfect gaming CPU for anyone happy to indulge in a little OC play. But what’s in an X? These X-series chips come with the highest clockspeeds and supposedly have the highest level of automatic overclocking, powered by the Precision Boost and XFR features of Ryzen’s latest silicon. How much does that really matter in the final reckoning? Not as much as you might think if you’re willing to get your hands dirty. The second-gen of AMD Ryzen 2 processors has delivered the finest CPUs team red have ever produced. That might sound like so much media hyperbole, but with both the Ryzen 5 2600X and Ryzen 7 2700X AMD have produced a pair of high-end processors without the traditional high-end price-tag, but the standard ones still have a lot to offer. But it’s not just internal competition AMD has to struggle with, the road to CPU stardom is paved with good Intel CPUs, and they won’t be easily overcome. Regardless, now that I’ve built up the Ryzen 5 2600 as one of the best gaming CPUs known to humankind, it’s time to back it up with some numbers. 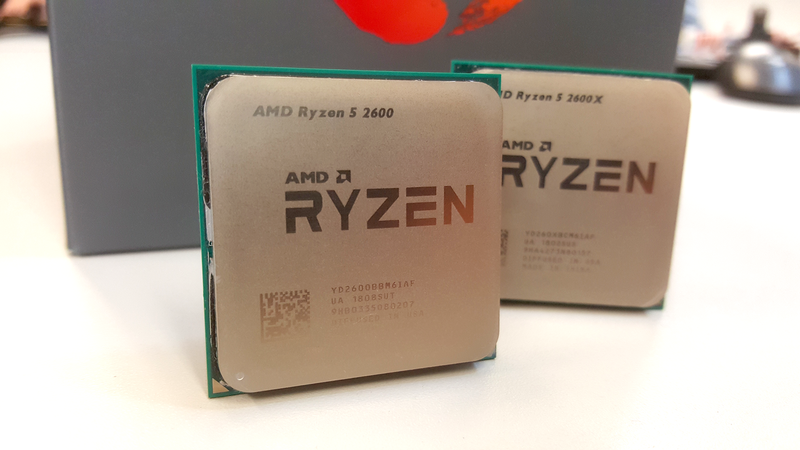 As you might expect there’s not a great deal of difference between the Ryzen 5 2600X and the straight 2600 chip. They’re both based on the same updated, advanced, 12nm FinFET Zen+ design, and both sport the same 4.8bn transistors underneath that unassuming heatspreader. The differences all come in when you start talking about how fast the Ryzen silicon is being pushed to operate at. 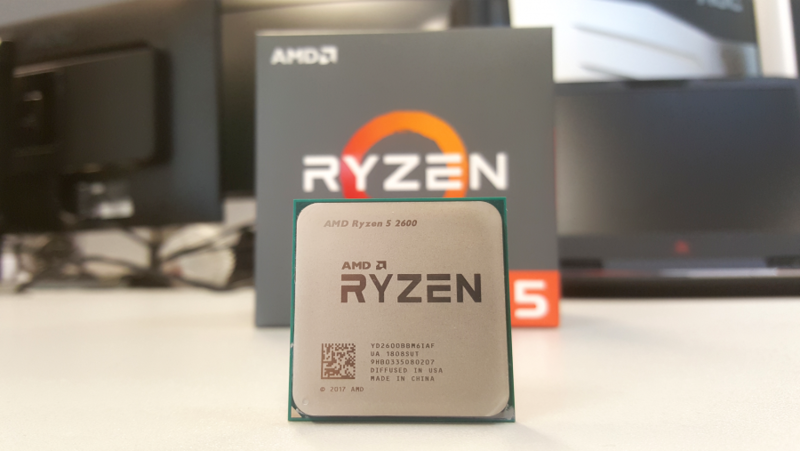 While the 2600X starts at 3.7GHz, with a boost clock of 4.2GHz, the Ryzen 5 2600 starts out with a 3.4GHz base and 3.9GHz boost. What that translates to in terms of actual all-core clock speeds is general performance of around 3.9GHz and 3.7GHz respectively for the two CPUs. Partly because of that lower clock speed AMD have also slapped a lower TDP onto the non-X version of the Ryzen 5 chip. At 65W it’s considerably lower than the 95W of the 2600X, and means it doesn’t get quite as fancy a cooler with it. So you end up with a slightly weaker CPU cooler in the box with the Ryzen 5 2600 versus its bigger, X-series sibling. The Wraith Stealth has about half the depth of aluminium heatsink as the Wraith Spire you get with the 2600X, which also has a copper base plate to aid in heat transference. As you would expect the stock performance of the 2600 is definitely off the pace compared with the 2600X, most notably when it comes to the CPU performance measured by Cinebench. In both single and multi-threaded tests the non-X chip is 10% slower than its big brother, with the single-core performance looking especially bad. When you compare that with the level of single-threaded pace you get out of the Intel Coffee Lake chips the 2600 starts to look a little weak. The difference between the 2600 and 2600X in CPU terms then is about the same as between the top Ryzen 5 and the older 1600X chip. That lack of pace also manifests in the storage performance of a Samsung 960 EVO drive when plumbed into the 2600. It’s obviously slower than the more expensive chip, though only in terms of transfer speeds, not general day-to-day use. On the gaming side, hower, that weaker single-core power only really makes itself known in intensive Civilization VI benchmarks. The other titles, even at a relatively low 1080p resolution, display little variance between the Ryzen chips. Which is great and means you’re only missing out in frame rate performance on a small number of CPU-reliant games. But while our initial testing seems to indicate the 2600 is around the same level as the old 1600X, it’s only up to a point. And that point is when you start messing around with the BIOS and tweaking the chip’s clocks yourself. A little judicious overclocking is all it takes to leave the 1600X in its dust and level up the game against the 2600X. With the same Corsair liquid chip-chiller levelling the playing field we managed to squeeze a stable 4.2GHz out of the 2600, while the competing 2600X only managed 4.25GHz on the same Asus STRIX X470-F motherboard. At those speeds there is nothing between them, and all it takes is a good cooler. Though, to be honest, the Wraith Stealth still does a pretty good job on its own. We had to dial back to 4.1GHz, but that’s still going to get you serious CPU and gaming performance just using a free air-cooler. And all with a lower power draw than the 2600X at stock speeds. At just $198 (£159) the 2600 isn’t just a great gaming CPU, with serious multi-threaded chops, it’s also an incredibly good-value chip too. All those people getting excited about the price drops of the 1600X now should take a moment to look at the Ryzen 5 2600, because it’s almost the same price and knocks it out of the park in terms of performance too. The 2600X is still the chip to choose if you have the self-awareness to know that you’re never going to bother overclocking, and are happy to pay the extra to ensure you never have to. But if you don’t mind digging into the BIOS, you can push the 2600 to the same levels as its more expensive sibling without unduly stressing the silicon or, more importantly, your bank balance. But how does it fare when put up against the Intel competition? From a pure gaming point of view the Core i5 8400 still has the ultimate edge in the frame rate stakes. But that’s only by a few FPS here and there, at most… and that’s all you get. The AM4 platform will cater to all AMD’s mainstream Zen-based chips from here to 2020, giving you more future-proofing than any platform I can remember, and the Ryzen 5 2600 gives you more computational power for pretty much the same price too. In the end then AMD’s non-X 2600 has more power inside it than you’re really likely to use, and is still able to offer all that for a mighty tempting price. You might need to get your hands dirty to get the most out of it, but it’s well worth the minimal effort.